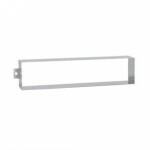 The Ives 601 Stainless Steel Sleeve for Mail Slot is for use with Ives 621. Ives catalog Fea.. 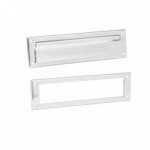 The Ives 620 Aluminum Mail Slot is a Legal Size Letter Box Plate with Standard (Open) Back Plate. ..